2) Who is the developer of Prototype? 3) What are the features of Prototype? 4) What are the types of String Methods are available in Prototype? 5) What is underscore() method in Prototype String Method? underscore() method: This method is used to converts a String into a series of words separated by an underscore. 6) What is inspect() method in Prototype String Method? inspect() method: This method is used to returns a debug-oriented version of the string. 7) What is empty() method in Prototype Element Method? 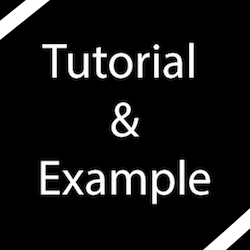 empty() method is used to check whether the element is empty or not. 8) What is Templates in Prototype? 9) What are the steps to create the formatted output in Prototype? 10) What is include() method in Prototype? 11) What is $A() method in Prototype? $A() method: This method is used to converts the single argument it receives into an array object. 12) What is $w() method in Prototype? The $w() method is used to splits a string into an array. 13) What is AJAX in Prototype? 14) What is Date.toJSON() in Prototype? The Date.toJSON() method is used to convert the date into a JSON string. 15) What are the ways to construct a Hash instance in Prototype? 16) What is the use of PeriodicalExecuter object? PeriodicalExecuter object: It is used to execute a function many times after a certain period of time. 17) What is the major advantage of PeriodicalExecuter? The major advantage of PeriodicalExecuter is: PeriodicalExecuter shields you against multiple parallel executions of the callback function. 18) What is the syntax of $R utility function in Prototype? )19) What are the AJAX methods available in Prototype? 20) Name some callbacks that are not implemented by all browsers? 21) What are the methods provided by JSON for Encoding in Prototype? 23) What is the use of $H method in Prototype? 24) What will be the output of the following code snippet? 25) What is the syntax of pluck() method in Prototype? 26) What is the use of isHash() method in Prototype? isHash() method: Returns true if object is an instance of the Hash class, Otherwise returns false. 27) What are the form methods available in Prototype? 28) What is the use of isJSON() method in Prototype? isJSON() method: It is used to check the string is valid JSON with the help of regular expressions.